The article focuses on the problem of disposal of dispersed iron-bearing wastes generated at the machine-building and metallurgical enterprises. Discusses the possibilities and prospects of low-tonnage recycling of metal wastes into the rotary tilting furnaces (RTF). The report presents the results of the implementation of the developed technical solutions on enterprises of Belarus and the Russian Federation. Key words: Recycling, dispersed metal wastes, rotary tilting furnaces. The article discusses the peculiarities of making TiAl alloys in a slag lining induction furnace using vacuum. Also presented are elements of a technology for making cast gas-turbine engine blades of the new generation. Key words: Gas-turbine engine blades, slag lining melting, cold crucible, magnetic field, hot isostatic pressing. Discussed are the technological techniques allowing to improve the properties of silumins used for casting internal combustion engine pistons. The inoculants used in melting silumins, and the elements they comprise are characterized. Key words: Silumins, piston alloys, inoculation, microstructure, thermogram, ingot mold. The article presents the options of technological methods for cleaning of aluminum chips from coolant, oils and moisture. The option of drying the chips in drum drier is drilled down. Key words: Chip, aluminum alloy, cleaning, drying, recasting. The article brings the results of investigating the influence of iron-dissolved oxygen on the iron structure. They used three melting variants with different amounts of additions to the melt. Key words: Iron-dissolved oxygen, structure, melting, test sample, thermocouple, oxidation sensor. Numerous attempts to recreate the technology of producing brass steels led to the fact that along with the already known classes of brlat steels, materials appeared which, according to classification characteristics, are quite suitable for the definition of composite materials. The article analyzes the methods for obtaining modern multilayer steels for the manufacture of cold weapons and suggests the preparation of a method for obtaining a composite material by electroslag remelting. Key words: Bulat, damascus, composite material, multilayer microstructure, electroslag remelting. Shown is the necessity of amending GOST 977-88 “Steel castings. General specifications” by adding to the chemical composition of steel information on the minimum limit of silicon and residual aluminum contents, as well as notes on the possibility of residual content of other deoxidizers. Key words: Carbon steel, deoxidizer, residual content of elements, complex inoculation, chemical composition, magnetic properties. For an automatic analysis of graphite in cast iron, OOO “SIAMS” (Yekaterinburg, Russia) has developed a motorized “Analyzer of fragments of solid bodies` microstructure “SIAMS” that allows to automatically scan the entire microsection, classify graphite particles and assess the microstructure’s conformance to GOST 3443, ISO 16112, ISO 945 standard requirements. 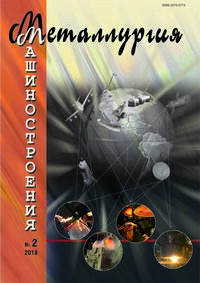 The article analyzes the factors influencing the accuracy of results of analyzing graphite in cast iron, shows the necessity of amending the requirements to the procedure of controlling cast iron microstructure, development of new reference microstructure pictures and development of a new method of computerized training as applied to cast iron microstructure. Key words: Cast iron microstructure, microstructure analyzer, graphite particles, particle shape, automatic regime, picture analysis, panoramic picture, result accuracy, particles classification. The work considers the philosophical elements of metallurgy, analyzed is the development of ideas about the origin of chemical elements and the four elements, using the results of Space studies. Proposed are new ideas about the star-related origin of chemical elements – it being the waves from which the Earth, Water, Air and Fire are formed. The Space consists of hydrogen – the original matter, the result of its activities being the planet Earth. It is concluded that metals are a compacted part of the element Earth. Key words: Philosophy, metallurgy, hydrogen, the four elements, the dark and the light, practical significance.